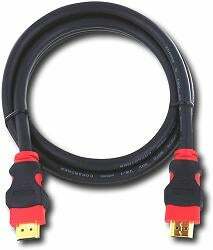 Ever wonder how some HDMI cables can run upwards of $100 while some others don't even crack 20 bones? The folks at Arstechnica wondered, also and tried to figure it out. Their general solution is to not listen to the pricetag. Just because one HDMI cable is five times the cost of another doesn't mean it will product a five-times better picture and just because you have a new, big, beautiful HDTV and a slew of home entertainment components doesn't mean you have to spend a lot on cables. Just shop around, pick out the best priced cable ($20-$30 range) and it will look fine. If you are still skeptical about buying "cheap" cables, then buy both and test it yourself and return the worse cable—easy enough.